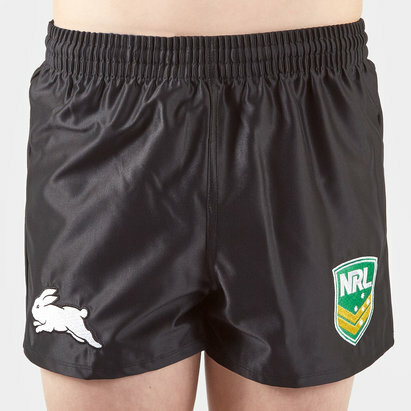 Show your pride for the Bunnies when you watch at the ANZ Stadium in these South Sydney Rabbitohs NRL 2019 Players Rugby Training Shorts from ISC. These shorts are black just like their match shorts. They have the ISC logo and team badge on the left side.